Tiny dragons can do a lot with a finger or two! And a bit of lipstick, apparently. 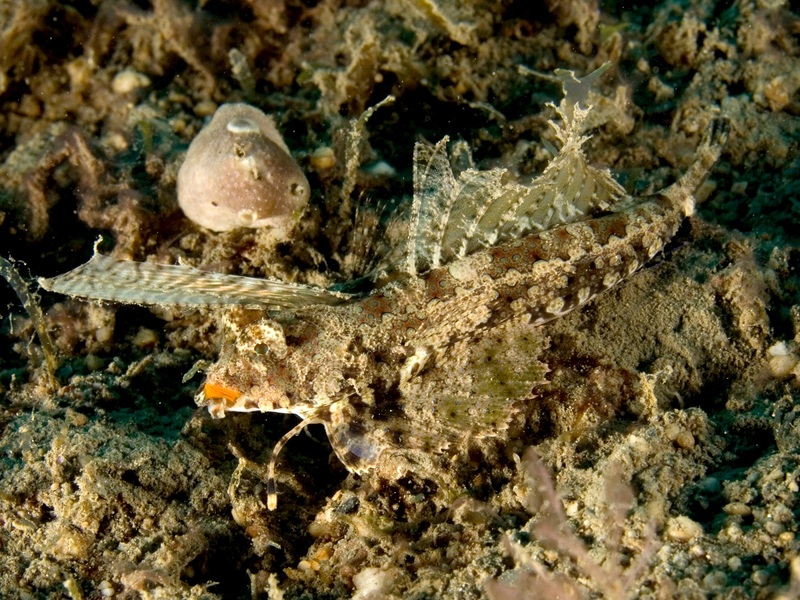 Not all Fingered Dragonets have lipstick, but they do all have a pair of fingers. They have to. It's right there in their name! The genus Dactylopus, which means 'finger foot,' contains just two species. 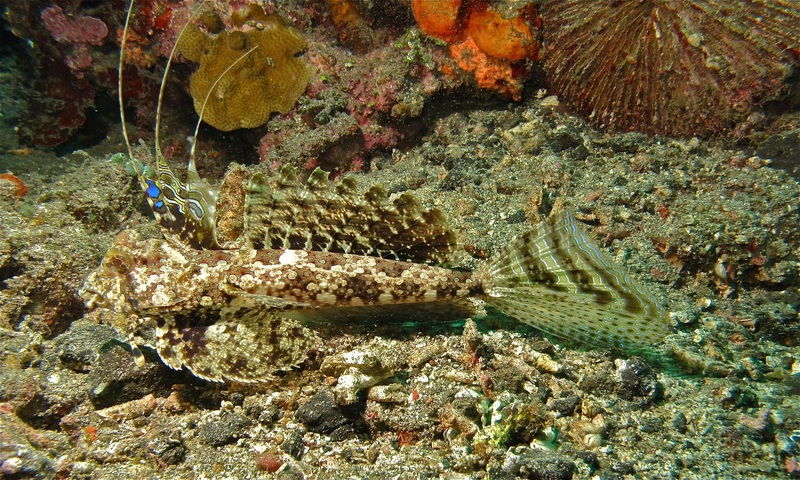 Only one of them is known as the Fingered Dragonet, and that's the one called Dactylopus dactylopus. Yup, it's so 'finger-footed' they named it twice. Having said that, Kuiter's Dragonet (D. kuiteri) is just as finger-footed. So, there's that. 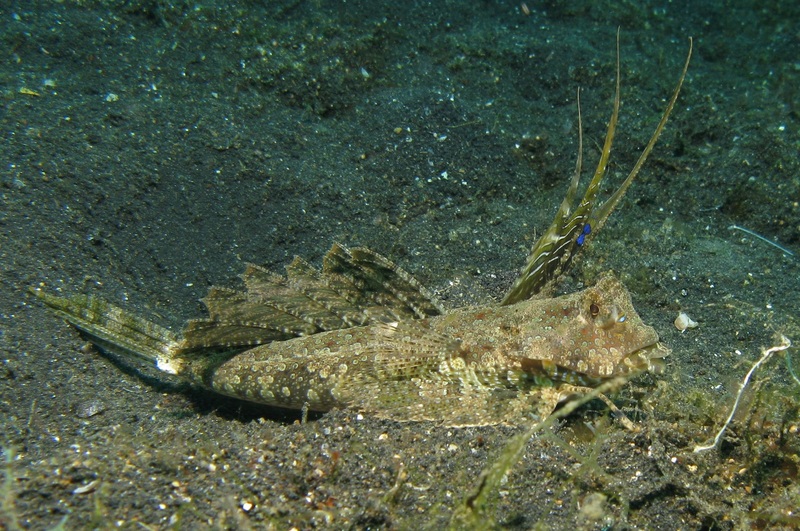 Both species are widespread in the Indo-Pacific region and reach about 15 cm (6 in) long. 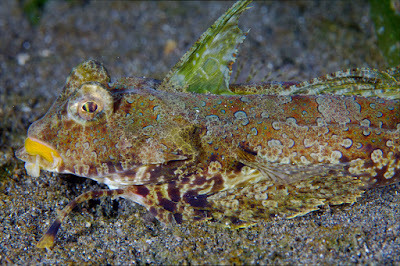 Like other Dragonets, they have a tall and extremely fetching dorsal fin. Unlike other Dragonets, they also have two fingers, each one made out of a single spine of their pectoral fins. 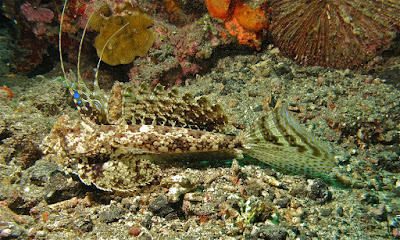 Fingered Dragonets are very much bottom-dwellers who make their way over the sea floor, half swimming, half dragging themselves by the fingers. They're also bottom-feeders... but they're the nicest bottom-feeders you could ever hope to meet. Honest. They vacuum up tiny copepods and the like by shooting out their small, downward-pointing mouths. 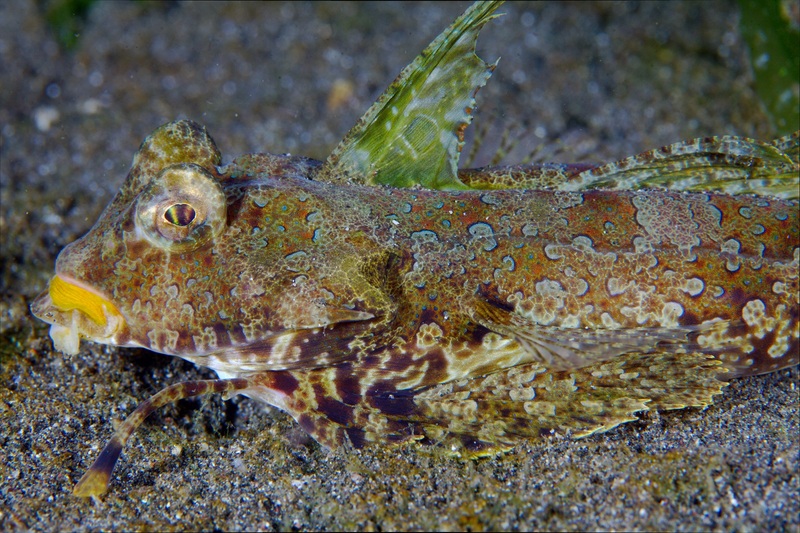 While all that's going on, the Fingered Dragonet is covered in all the mottled colours it needs to go unseen on the sea floor. 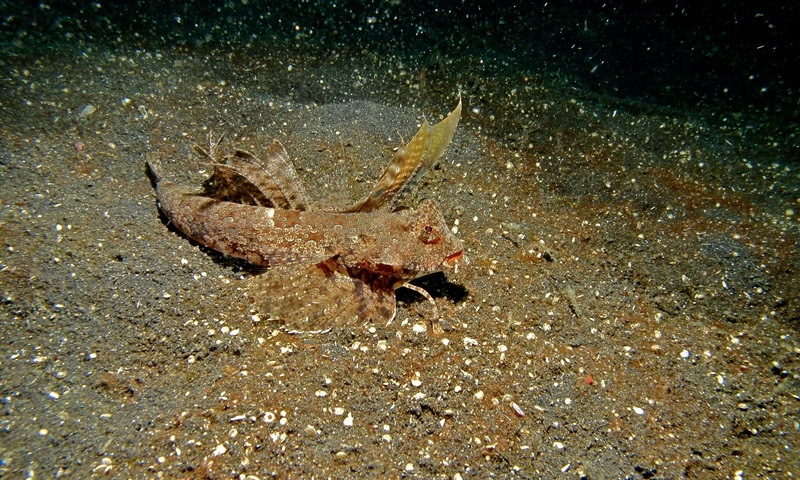 And if things get really bad and a predator comes prowling, the Fingered Dragonet can quickly bury itself in the sand to leave only a pair of wary eyes poking out. It's only a very little dragon, after all! 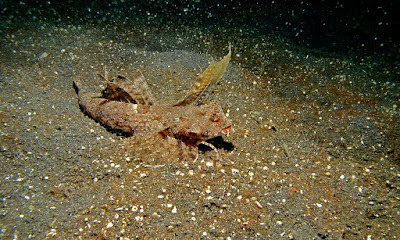 Wow, they're a lot like Sea Robins, but I just looked and they're not closely related at all! Yeah, turns out tetrapods aren't all that special! it'll be climbing out of water like a mudskipper next! Things are still coming ashore! Even fish have that indomitable urge to explore!